In December, our Bulleen vet sees a lot of patients with tummy upsets which can often be traced back to too many rich festive foods. Ideally, pets should not ever be fed processed foods as their stomachs have not evolved to digest them and so eating them often leads to diarrhoea and/or vomiting. Candy wrappers/toothpicks/skewers: If something smells good, your pet will eat it, even if it’s not edible. These are just some of the things that can get swallowed and stuck in your pet’s oesophagus or intestines. 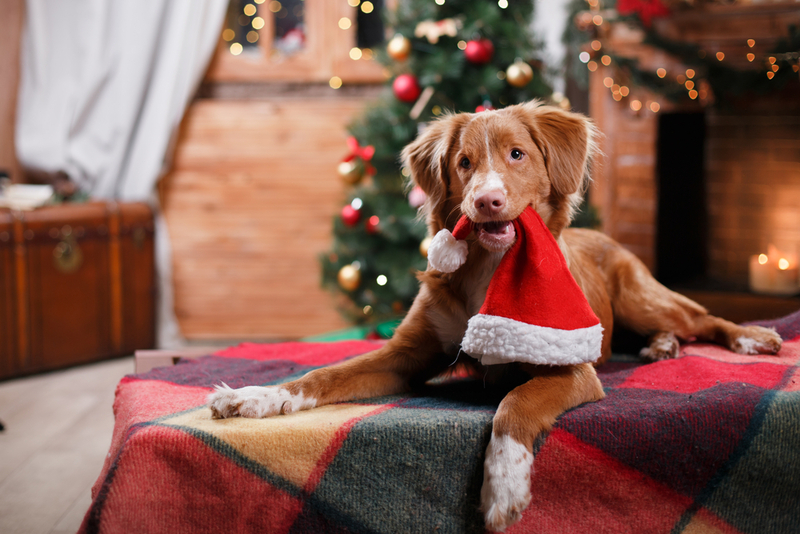 Poinsettias: These traditional flowers are toxic to dogs and cats, so keep them out of reach or out of the house altogether if your pet likes to nibble on plants. Raw or undercooked meats: The bacteria in raw or undercooked meat makes pets sick too! If you do give your pet some meat over the festive season, it should be boneless and without seasoning- lean cuts like chicken breast are ideal. Dough: Once ingested, the raw dough will continue to rise in your pet’s stomach and it can cause life-threatening bloat or alcohol poisoning (from the yeast). Alcohol, tea and coffee: Whilst tea leaves and coffee are only likely to cause a stomach upset, alcohol is toxic to pets and can be lethal even in small amounts. Sage: Toxic to cats, this herb can cause central nervous problems. Has your pet consumed any of the above? We recommend you book an appointment with our Bulleen vet clinic immediately.